I have discussed the topics of employment in the past and spoken of jobs I was happy that I didn't get and I have also discussed differences in employment between for profit, not for profit and government positions. In this post I am going to hit on some tips specifically for Federal job seekers. For all Federal job seekers, the search generally begins at USAJOBS. This is the job site for the Federal government. Creating an account is easy and I will forego the details in this posting. 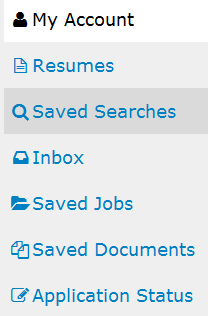 Within USAJOBS, you can build a resume, create and save searches and upload related documentation. When applying for a job with the Federal government, it is helpful if you take the perspective that your application must be successful with 2 slightly different audiences. First, is the human resources (HR) department who will examine your application for specific details, make a basic decision as to whether you are qualified for the position and rate your application which will be placed within a grouping. The online resume is the best way to express your required information and qualifications to the HR reviewers. These reviewers must screen numerous applicants so the ability to find your information in a predictable location is a big plus. Many applicants submit only the online resume. I recommend that you submit an online resume AND also upload a customized resume. There are multiple reasons for this advice. First, you will have very limited ability to format or control the flow of the online resume. I recall the early days where this online system was rolled out and saw some of these early "online" resumes. They looked terrible. They have improved a little, but still are inferior to the product that one can create using Microsoft Word or Google Docs. Second, as I indicated previously the HR team (and the hiring department) will likely be looking at numerous applicants. It is easy for tired eyes to glaze over so by telling them twice, you increase your chances that your information might actually be communicated. Third, providing your custom resume in addition to an online resume provides an opportunity to show your presentation skill. Your custom resume represents you, if it is organized well and the information pops, it may get you in the door and be more valuable to your second audience which is the hiring department or manager. In this electronic age, I most frequently find that most applicants provide the online resume and the required forms. Cover letters seem to be a thing of the past, for old farts only. Well here's a news flash, the government is filled with old farts. Add a cover letter to your application and upload it! You will stand apart from other applicants and you have an additional opportunity to demonstrate your communication skills and in this very impersonal age, it is your opportunity to appeal on a personal level to those who may hire you. The kitchen sink: In the private sector, applicants are often encouraged to keep resumes at 1 page or 2 at most. It has been my observation that bureaucrats seem to love paper. The HR reviewers in particular will be combing your resume and looking for specific experience. Frame your experience using the buzz words and lingo that is used in the position announcement. Given the ready availability of Google and the internet this should be easy to do. For example, you may see "project management" used; Google it! A quick look and I spot very quickly that I will want to mention how I successfully managed a project's scope, budget and schedule. Two other terms that I frequently see on job announcements that I look at are "quantitative" and "qualitative" analysis. I'm sure I've done both and probably studied both in college, but I often do a Google search to refresh my memory so I can be armed with up to date jargon in expressing my experience. Be thorough and go through the job announcement to make certain that you have described work experience that covers (in the same language) the requirements and responsibilities stated for the position. Along with my kitchen sink philosophy when approaching Federal job applications, I would encourage applicants to assemble and include transcripts and other training (technical, continuing education, etc.) records regardless of whether they are required. Much of the Federal government uses Performance Based Interviewing (PBI). In a nutshell, the presumption of this approach is that past success (performance) is the best predictor of future success (performance). This model moves away from "gut" feelings and attempts to interject an empirical measure in evaluating qualifications. It is important that you be prepared for this type of interview as it tends to be more sterile and perhaps less free flowing than interviews that you may have experienced in the commercial sector. Typically PBI questions are phrased such as "Tell me about a time when you needed to work in a team to complete a project" or "Tell me about the time when you disagreed with your boss (or a difficult co-worker) and how did you handle it". These are simple examples, but in the Performance Based Interview questions that I've seen, they often are about 3 to 4 questions all sandwiched together like "Tell us about a time when you needed to confront a co-worker... what was the co-workers reaction? how did you feel? what was the outcome and what could you have done differently?" I have seriously seen some PBI questions that are about a paragraph long - remember, these are concocted by bureaucrats who don't understand brevity. This coupled with my old fart syndrome (OFS) whereby I can't remember much presents a real dilemma. My answer, bring a notebook along with extra copies of your resume (and maybe even some "cheat sheets" where you've sketched out PBI scenarios that you can adapt). That's right, write it down; yes, its old fashioned, but if you find yourself interview with 3 or 4 people, its nice to scratch down some names that you can glance down and reference. Also, writing down the PBI questions (using your preferred "short hand" style) will help keep you on track so that you answer all of the elements of the question. Lastly, most interviews end with the typical "do you have questions for us?" I am always surprised how many people say "no"; I encourage all applicants to ask a couple questions. While I do encourage questions, you should use some discretion. It probably isn't yet time to talk about money or time off. It is fair to inquire about the next step in the process. You can also ask questions to learn more about the position or the organization, such as "what is a typical day like?" Or, "what do you like about your job?" (If they can't think of anything, maybe you don't want the job). Finally, don't forget to thank them and if you have a way to contact them a day or so later, I would recommend a follow up thank you. This will help to "refresh" their memory and also reflects your "people" skills. Good luck in your job hunt and after you land that job, don't stop... the best time to land a great job is after you've landed a good job.